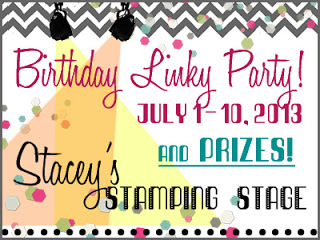 There is still a bit of time left to submit a birthday card to Stacey's Stamping Stage Birthday Linky Party. I think that staying up chaperoning from daughter's sweet 16 WAY past my bedtime last night has thrown my sleeping pattern off because I am dead tired and yet I am up at 1:00 in the morning making a birthday card! 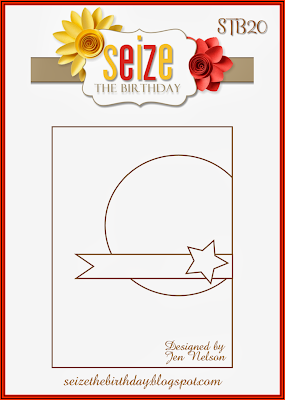 I haven't played Seize the Birthday in a while and I had to play along with Stacey's Linky Party too. I am also submitting this to the current A Blog Named Hero challenge. I realized last night that any pictures I have on my daughter from the last year, she is with someone else. So perfect opportunity to take a photo of her on her birthday. So adorable, Tracey! the sequins make the perfect cupcake sprinkles, eh?! LOVE! Thanks so much for celebrating with me at the Birthday Linky Party! I'd be exhausted too! Love all the fabulous colors on the cupcake. Gorgeous photo of your daughter! I love how clean and fun your card is! happy birthday to your lovely daughter! she is beautiful! Beautiful picture of Brooklyn! What a sweetie pie...and your card is just too cute!!! I have not seen that stamp before and just love what you did with it. The sequins look good enough to eat too, and your colors really make for one yummy cupcake! Happy Birthday to Brooklyn again! Happy Sweet 16 to your beautiful daughter! I bet you're so glad the party is over. Love your sweet birthday card and the sequins are a great embellishment on this cupcake. A very lovely card for your beautiful daughter! Just when I think I have seen everything clever...here you come with another great idea! Love the cupcake as the shape in the inspiration photo Tracey...so smart, your daughter is beautiful, you both have the same eyes, but I bet you have been told that a million times! Wow! What a beauty she is, Tracey! Love your cupcake card...Clean, Simple, and Perfect for sweet 16! And what a great card-- I love the little bit of bling that you added! Such an amazing card. And, at 1 in the morning? I'm impressed. This is a super card for any age, and your coloring and cupcake decorating are just adorable. So is your daughter! Happy Birthday to your sweet girl! 16, wow. Love the pic. Such a pretty girl! Your card is great. Delicious cupcake in bright, fun colors! aww your daughter is gorgeous.. great picture.. love the birthday card.. hope she had a great day.. So sweet! Love the sequins you added. Sweet birthday girl and sweet card, Tracey! I worry about you and how little sleep you get. Take care! TFS the sweet photo of your daughter--so very pretty! Love your fabby card with the yummy cupcake. The sequins are the perfect touch of bling! Now THIS is one cute cupcake! Darling card Tracey. Perfect photo of your beautiful daughter too, what a sweetheart!! Love that cupcake and you made it so fun! Happy Birthday to your daughter! 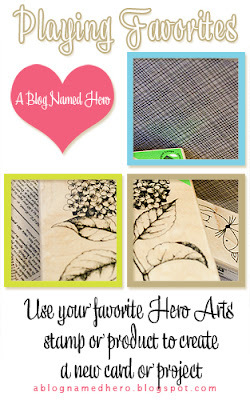 Thanks so much for playing with us over at A Blog Named Hero! Glad you survived the party! That huge cupcake is the BEST, and I love how you stamped it off the edge for interest. Great use of the sketch, Tracey! This is so fun. I love the cupcake. And your daughter is so pretty. Sorry that I am LATE to the party!! Your DD is darling! And your card is equally sweet! Happy Birthday to your girl! Funny, my boy celebrates his "Super 16" this friday! 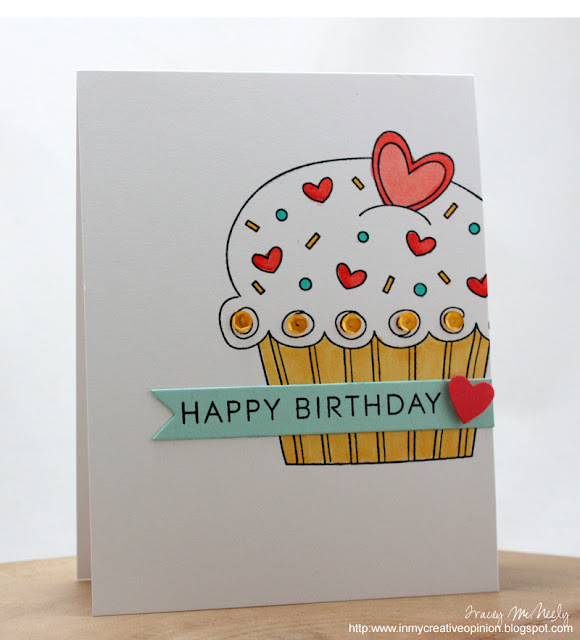 Who can resist a sweet cupcake card?!!! Thanks for playing with us at Seize the Birthday!